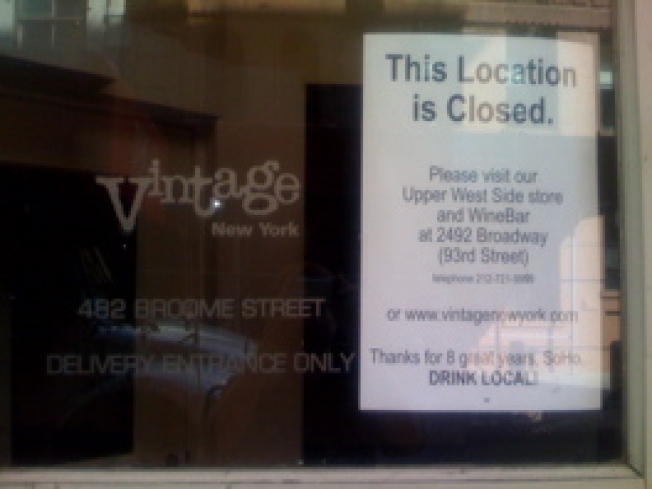 Soho: Vintage New York, the Broome St. wine shop and bar selling and serving only local goods, has closed. Everything from the flights to the cheese and meats here were local and we have to commend their effort. But when it comes down to it, New York wines are just not general crowd pleasers. The shutter doesn't exactly bode well for their second location and, for that matter, a rarely busy venue on the similar mission, Bridge Urban Winery.